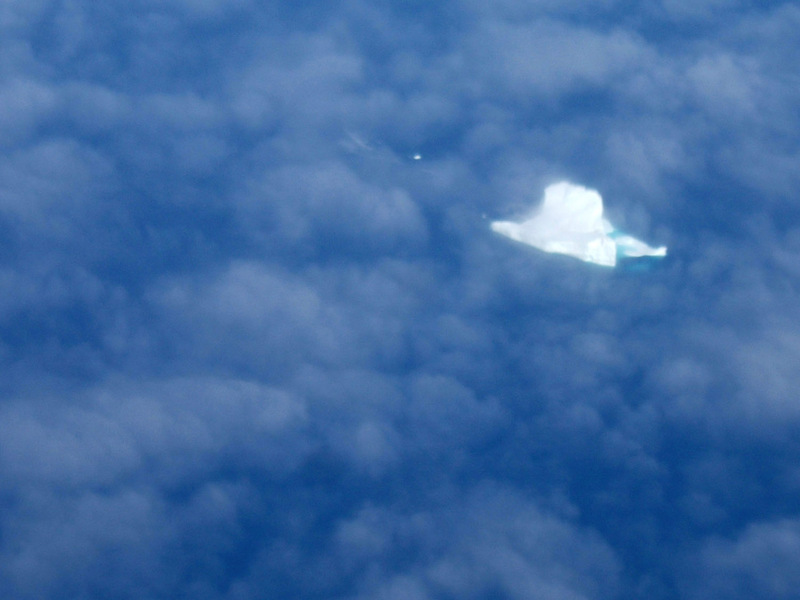 When travelling to the polar regions I always feel that the first iceberg you see is significant, it signifies that I am passing through an invisible doorway to another world far more meaningfully than any line on the map does. While surrounded with much personal excitement at the time however, it doesn't usually make for very interesting photographs as they are usually taken out of the less than crystal clear window of the aircraft you are in and inevitably in the far distance - like this one. It's similar when leaving, though of course you only realise which was the last iceberg when you don't see another one.